Pulse-Bac’s patented technology keeps filters clean, so suction stays consistent. 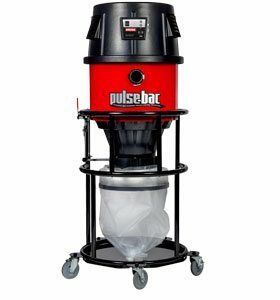 Other vacuums can lose up to 50% of their suction as the filter clogs, but not Pulse-Bac. 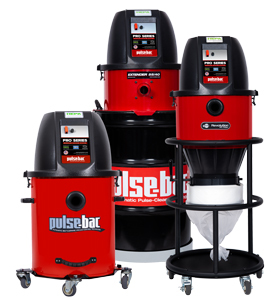 Durable Steel Construction and American Made Dependability make Pulse-Bac Vacuums the choice of professionals. We've got 15 years of proven job site performance to back that up. As a wood flooring contractor you know it is important to keep the dust out of the customer’s home or office and to have a dust free floor before applying finish. Whether you're a trim carpenter that needs to keep the job site clean or a cabinet shop that's trying to keep the dust down we have dust collection solutions to fit your needs. Concrete Grinding without the mess. 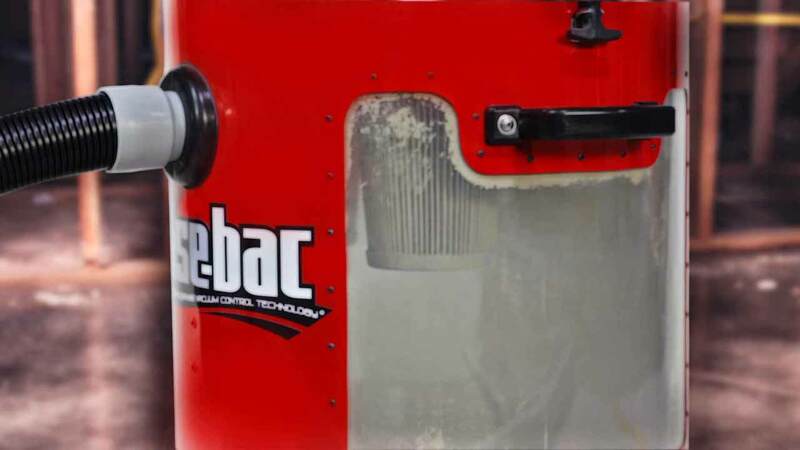 Surface Prep professionals face some tough challenges when it comes to dust collection. The fine, abrasive dust from concrete and other hard surfaces present a number of issues. Jobsite Clean up Done in a Flash. Job site cleanup and other tasks are all around for a general contractor. 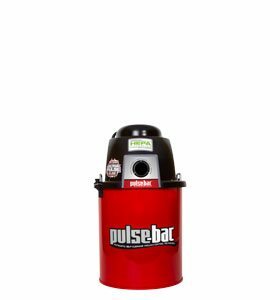 Pulse-Bac gives you the power you need to get the job done, plus the technology to make it easy. Pulse-Bac offers a wide array of models so you can find the right solution for your application. Look at the overview of each series below to start on the path to better dust collection. Surpassed my expectations of what a great vac can deliver! This is too cool and well worth the money. “The best dust collector I have tried so far!! !